Ford Motor Company announced the launch of its first pilot program that will offer self-driving delivery services in the Miami and Miami Beach areas. The next time you order food or coffee from Postmates, you may be surprised that a self-driving vehicle is delivering your items. How does it work? The restaurant receives your order and prepares the package. The vehicle is dispatched to the restaurant. A restaurant staff member then loads the order into one of the vehicle’s three locker compartments. No worries, your beverages won’t spill because the lockers have two cups holders in each compartment. The self-driving vehicle then proceeds to either pick up more orders or continues directly to drop off your purchase. Once the vehicle arrives at its destination, you receive a notification with a code to access the locker system and retrieve your order. “We have a shared vision with Postmates that to help people unlock the best of their cities,” said Jim Farley, Ford executive vice president and president of Global Markets. Postmates allows you to purchase items from more than 250,000 merchants across 250 cities. In January 2017, Postmates became the first to test short distanced deliveries through robotic technologies and continues to work on innovates ways to improve services. 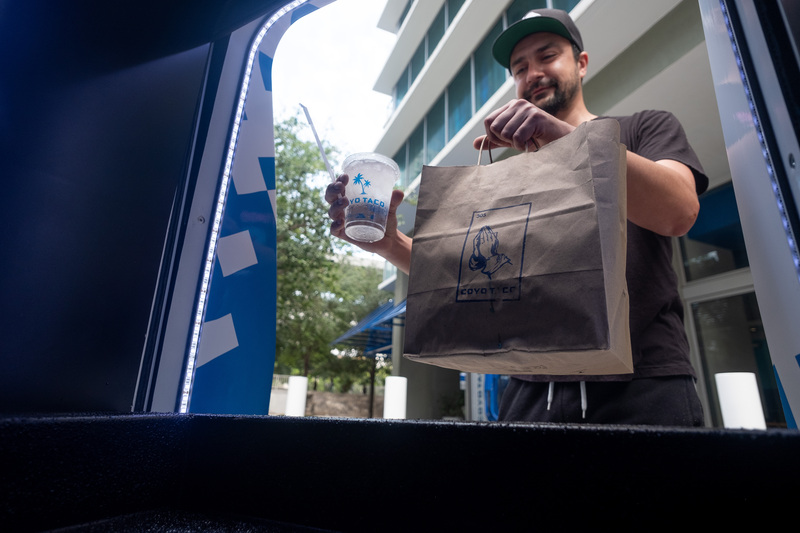 “Ford’s self-driving technology has the potential to not only make our delivery network faster and more efficient but to ultimately connect more customers to more local businesses,” said Vivek Patel, Vice President of Business Operations at Postmates. 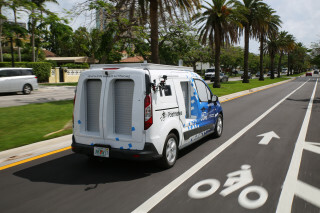 Through this collaboration, Ford and Postmates hope that the Transit Connect self-driving vehicle will help provide insight for new development ideas, mobility solutions, and decrease traffic congestion and emissions.